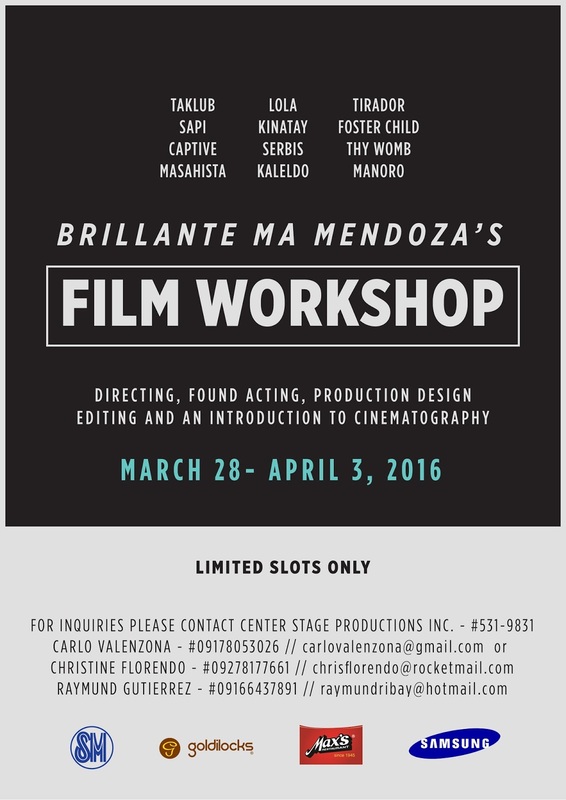 Are you an aspiring film professional? Looking for best way to prepare yourself for a career in the film industry? People in the film industry like to work with people they know and trust. So breaking into these circles will prove to be difficult for some. It will take to grow your referral network until work become more steady. This intensive seven-day intensive workshop will be facilitated by Mendoza himself. 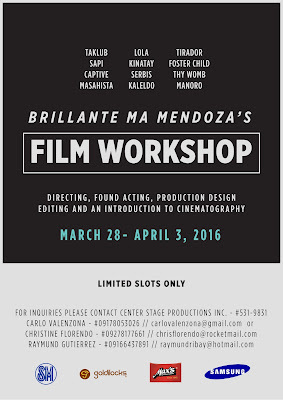 Brillante Mendoza is a director and production designer, known for Sinapupunan (2012), Kaleldo (2006) and Kinatay (2009).won Best Director at the 62nd Cannes Film Festival for his film Kinatay. His 2009 film Lola won the award for Best Film at the 6th Dubai International Film Festival. His 2012 film Captive was shown in competition at the 62nd Berlin International Film Festival in February 2012. His 2012 film Thy Womb competed for the Golden Lion at the 69th Venice International Film Festival. And his film Taklub has been selected for screenening at the Un Certain Regard, 2015 Cannes Film Festival. Join in the number of students, professionals, filmmakers to undergo rigorous training under the film expert. Working under Mendoza or with the people who have been working in the field for a long time, is the fastest way to increase your practical knowledge. Learn, play, be inspired, and harness your own creativity in one of the most anticipated summer activity this year.